Once the influx is complete, the CIA’s presence will likely rival that of its massive stations in Iraq and Vietnam at the height of the wars there….The increase of intelligence personnel, it added, involves not only the CIA but every major spy service, including the National Security Agency, which intercepts calls and emails, and the Defense Intelligence Agency, which keeps a tab on military threats….The CIA’s station in Afghanistan is based at the US Embassy in Kabul but most of its workforce is scattered across secret bases and military outposts in the country…. WASHINGTON: The CIA is greatly expanding its presence in Afghanistan as part of a large-scale intelligence “surge” that will see the agency’s station there become among the largest in its history, the Los Angeles Times reported Saturday. The Central Intelligence Agency is deploying teams of spies, analysts and paramilitary operatives on top of the nearly 700 employees it already has in the war-torn country in parallel with a military expansion that will see 68,000 US troops in Afghanistan by year’s end. Once the influx is complete, the CIA’s presence will likely rival that of its massive stations in Iraq and Vietnam at the height of the wars there, the newspaper said. It comes amid waning public support for the war and at a time of critical need for improved intelligence as General Stanley McChrystal, the commander of US and NATO troops in the country, faces an increasingly sophisticated Taliban fueling spiraling violence nearly eight years into the US-led war. The incoming spies are receiving a broad range of assignments, including working in tandem with special forces units hunting high-value targets, tracking public sentiment in regions seen as shifting support toward the Taliban and gathering intelligence on corruption in the Afghan government, the Times said. The increase of intelligence personnel, it added, involves not only the CIA but every major spy service, including the National Security Agency, which intercepts calls and emails, and the Defense Intelligence Agency, which keeps a tab on military threats. “The Taliban is at its most capable level since 2001, when it was ejected from the country,” an unnamed Defense Department official told the Times. The paper cited officials as saying the insurgency now numbers between 15,000 and 20,000 fighters. 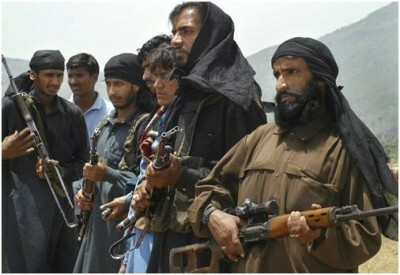 The Taliban have already gained a foothold in almost every region home to a significant population of Pashtun tribes. The CIA’s station in Afghanistan is based at the US Embassy in Kabul but most of its workforce is scattered across secret bases and military outposts in the country, the Times said. Most are holed up at Bagram air base north of Kabul, the site of a detention center for terror suspects and the headquarters of US special operations forces. McChrystal, who oversaw US clandestine special operations in Iraq between 2003 and 2008, is expected to increase the use of teams combining CIA operatives with US special operations forces soldiers, the Times said.